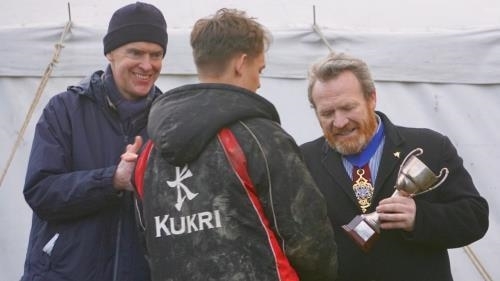 Despite inclement weather in the lead-up to the tournament, Hereford Cathedral School hosted the 2017 Marches Sevens, in association with SOCS, at Wyeside on Sunday 5 March. 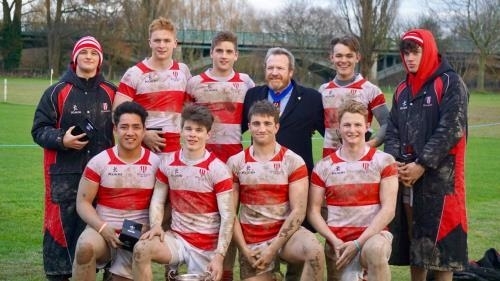 Widely regarded as one of the most prestigious Sevens tournaments in the country, form at The Marches Sevens is a key marker for potential contenders for the Rosslyn Park National Schools Sevens. 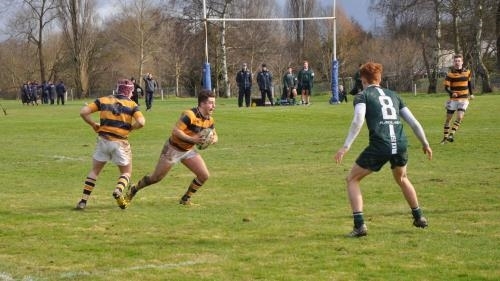 Boasting the likes of Millfield School, and last year’s winners, Harrow School, the standard of rugby on show was once again outstanding in some fairly testing conditions, which could not be described as conducive to “classic Sevens”. This year Blundell’s School, Tiverton (pictured above), became Cup champions for the first time in the history of the tournament. 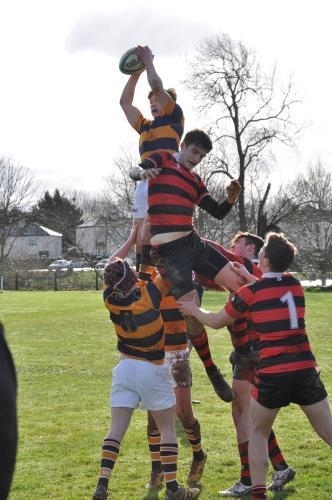 They came through the group of death unbeaten against the likes of Llandovery College, Hartpury College and Adams Grammar, overcoming a tough Barnard Castle School in the semi-final, and beating a skilful Millfield side in a tense final, by 22-14. Player of the tournament was awarded to Oscar Colosky from Blundell’s School. The Plate competition was won impressively by Hartpury College, by a score of 50-5 over Whitchurch High School. Beechen Cliff School won the Bowl in their first year at the tournament, beating Christ College Brecon, while Malvern College won the inaugural Shield competition.